More RAM, updated design and operating system, more cameras (literally) for a little more cash is the highlight for the new Infinix S4 which was announced a couple of days ago. 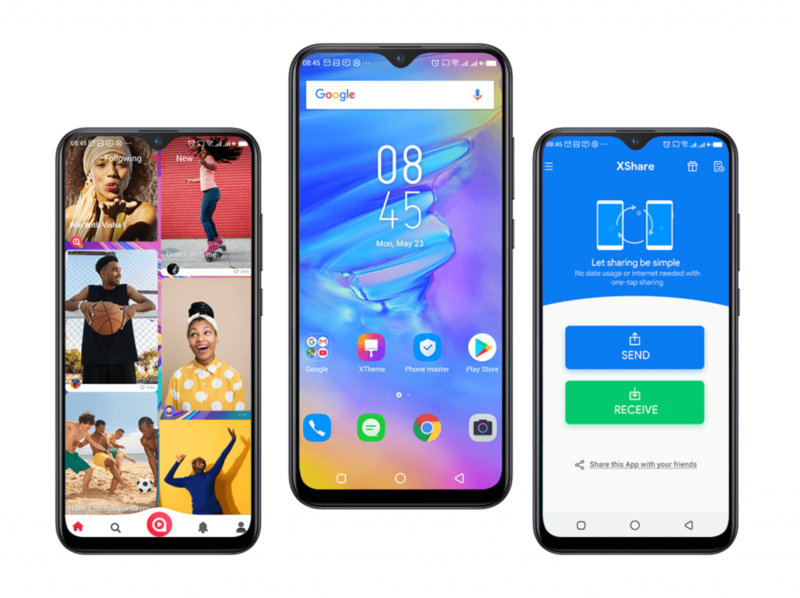 Right out of the box the new Infinix S4 is rocking the latest and greatest Android operating system — Android v9 (Pie), albeit skinned with the latest iteration of Infinix’ custom user interface — XOS 5.0. The device is a dual SIM LTE-enabled device which actually has two SIM slots and a dedicated microSD card slot. This means you would not have to be sacrificing any of your SIM slots in the occasion where you want to expand your memory capacity unlike some past devices in this line-up. Design-wise the device looks glossy in front and from behind. This is partly due to the fact that the Infinix Hot S4 is rocking 2.5D glass both at the back and in front covering the display. Don’t get it twisted, though, as the back of the device (and its sides) are still plastic. The display on this device is a 6.2-inch IPS LCD panel which, disappointingly, has a 720 by 1520 pixel resolution. Beneath its glossy exterior, the S4 sports a 2.0 GHz Octa-core CPU (MediaTek’s Helio P22) which is accompanied by IMG’s PowerVR GE8320 for graphics processing. Both devices internal storage can, however, be extended by a means of a microSD card with supported capacities up to 128GB. For selfies and snaps, the Infinix S4 sports a meaty 32-megapixel “AI” camera housed in the teardrop notch in front of the device aided by a “screen flash” for illuminating your face in low lit environments. Flipping the device over, you find an array of 3 lenses aligned vertically with a quad-LED flash at the left corner of the device. This lens array comprises a 13-megapixel lens (the primary shooter), an 8-megapixel one (120-degree wide angle) and a 2-megapixel one (mostly for depth information). The device (both models, actually) have a non-removable 4000 mAh battery which I cannot confirm at the moment support fast charging.